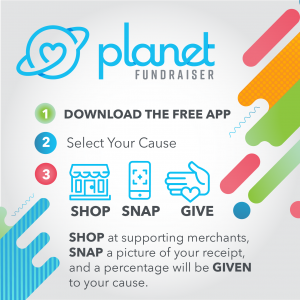 Glenwood Partners with Planet Fundraiser | Glenwood, Inc.
We are excited to announce a new partnership with Planet Fundraiser, a free mobile app designed to help you give back without changing your routine or budget! Simply make everyday purchases at businesses listed in the app, submit a picture of your receipt & we’ll receive a percentage of the total. That’s it! Participating merchants include: Piggly Wiggly, Shipt, Johnny Rockets Summit Location, Jimmy Johns, Yogurt Mountain, Urban Cookhouse, and MORE. Your participation will help support our ongoing efforts at GLENWOOD. Text “RAISE” to 444-999 to download the app or find it in the App store. Select GLENWOOD as your group of choice. Download the app and submit your first receipt today!